We know many folks may be completely over the Flappy Bird saga, but thankfully, the newest game from its developer, Dong Nguyen, goes under a completely new name, which grants us permission to talk about it. 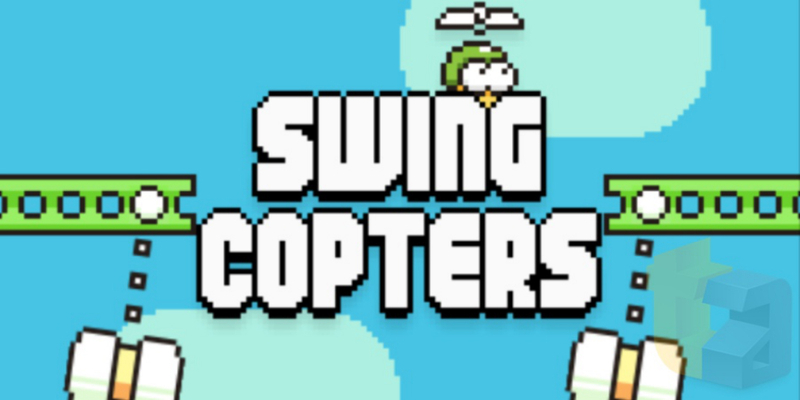 The game, which has been previewed by Touch Arcade, is titled Swing Copters. To explain it, imagine Flappy Bird has been placed on its side, facing upwards. Now, instead of a bird, you are a helicopter. You goal is to get your chopper through the swinging saws using your finger as a controller. For more details on gameplay, you can watch the video below which details how the game works. As for when Android folks can install it, it is scheduled for release on August 21 through iTunes, but we are looking for exact confirmation for when it will pop up on Google Play. If we get those details, we will update this post. Upon release, it will be free, but will feature a $1 IAP to remove the ads. It’s okay if you are not excited about this release, or even a little ticked off. Tell us how you feel down below in the comments.